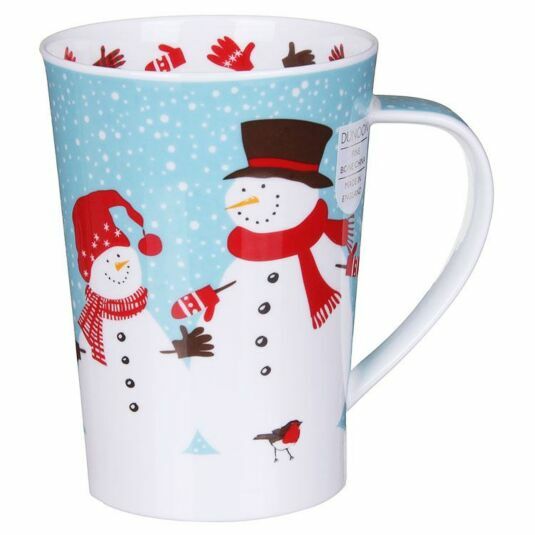 This charming mug designed by Kate Mawdsley features a truly festive design. 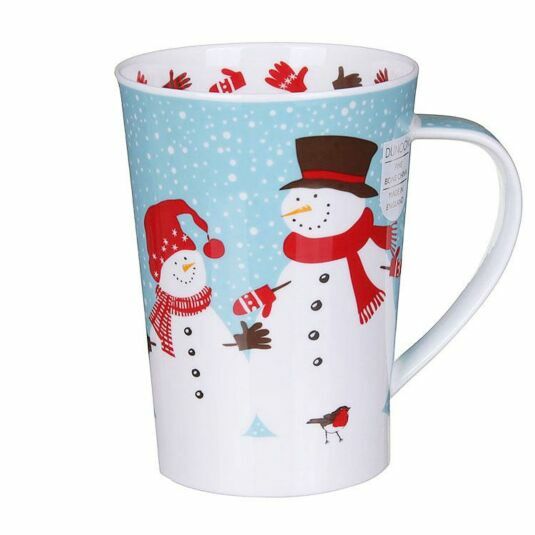 The four happy snowmen are smiling with their matching red hat, scarf and gloves, they are on a gorgeous light blue background with white speckles for snow. This lovely mug in the Argyll shape will make you daydream of a white, white Christmas whenever you have a warm drink. Kate Mawdsley was born in Lancashire and now lives in a converted barn in East Anglia. Even in the nursery, she preferred to play with paper, pencils and paint rather than toys and she maintained her interest in art throughout her education. After completing her degree in fashion and textiles, Kate spent the first ten years of her career in the fashion industry. In the early 1990s, she began gradually to move into more illustrative work. Since then, her repertoire and collection have expanded each year and her work can now be seen on products ranging from Dunoon mugs to cross-stitch fabrics.